Sandra Sallin, 78, wasn’t raised to be an adventurer, but she’s determined and she knows how to take chances. Her parents escaped Russia before she was born so perhaps it’s in her soul and part of her DNA. 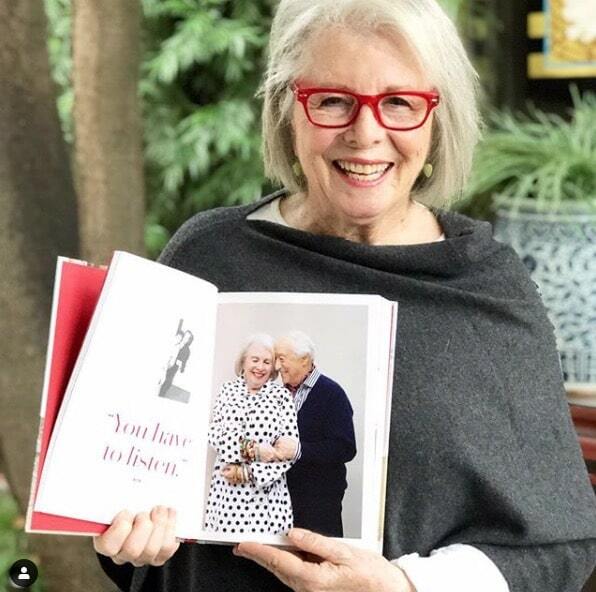 While she lived a protected life as a child, Sandy Sallin seizes life by the reins whether it’s as an actress, a skier, an acclaimed artist or a gourmet cook—she studied with Jacque Pepin—plus she didn’t start her blog, Apart From My Art, until she was 72. Sandy was perfect for all of the commercials she was in like this one for Folger’s Coffee. Sandy as “Bubbles” in this Canada Dry commercial. You’ll recognize a couple of the other actresses. 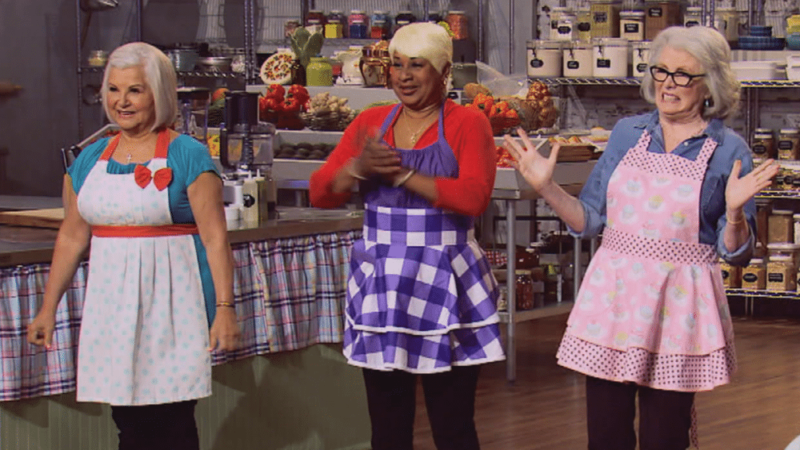 Sandy on the Food Network’s Clash of the Grandmas. With the show’s host, Cameron Mathison. 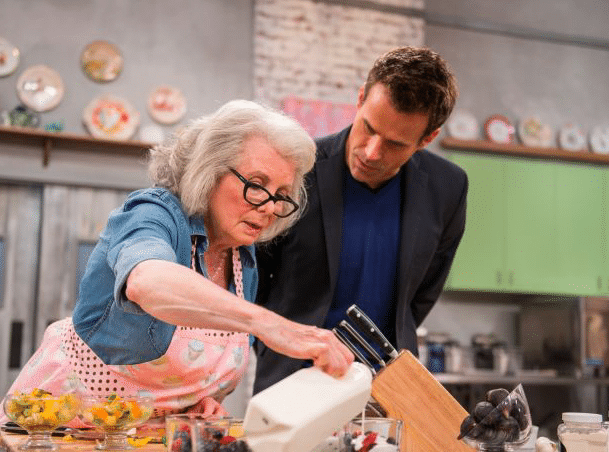 Two years ago Sandy Sallin was one of the contestants on the Food Network’s Clash of the Grandmas. While Sandy’s always been an adventurous woman, she’s also had a debilitating fear. Earlier this year, after her fourth, painful thoracic surgery—that took out ribs and severed nerves in order to remove rare, recurring growths on her ribs and near her heart and lungs—Sandy had an ah-ha moment. It was at that moment she’s kicked her fear of traveling to the curb. Sandy just took a trip from Los Angeles to NYC with her daughter and grandchildren. Because she was only two months out from her fourth difficult surgery in five years, Sandy was afraid she wouldn’t have enough energy to keep up with them, but it was just the opposite. She had an overwhelming desire to go and see and do everything. Now she and her husband, Bob, are planning a trip to England this fall. 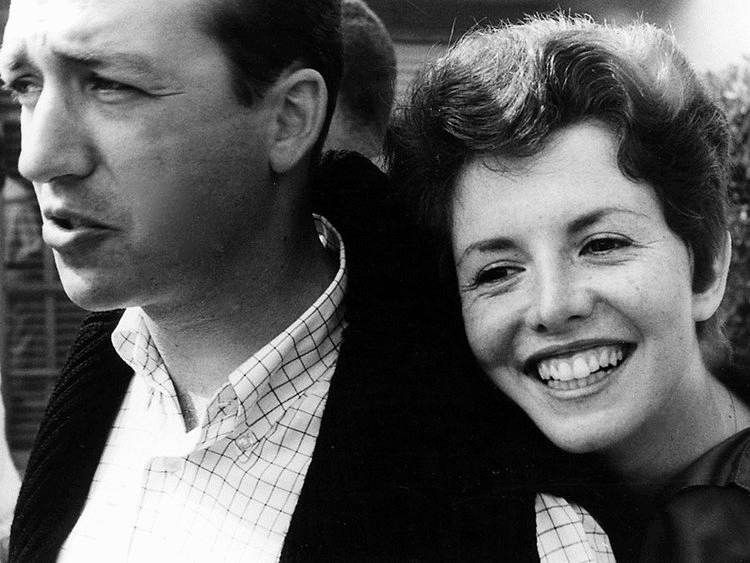 Sandy and her husband, Bob Sallin, Producer of Star Trek II: The Wrath of Khan and producer and director of numerous feature films, TV shows and commercials, including Tom Selleck’s first commercial for Safeguard Soap. 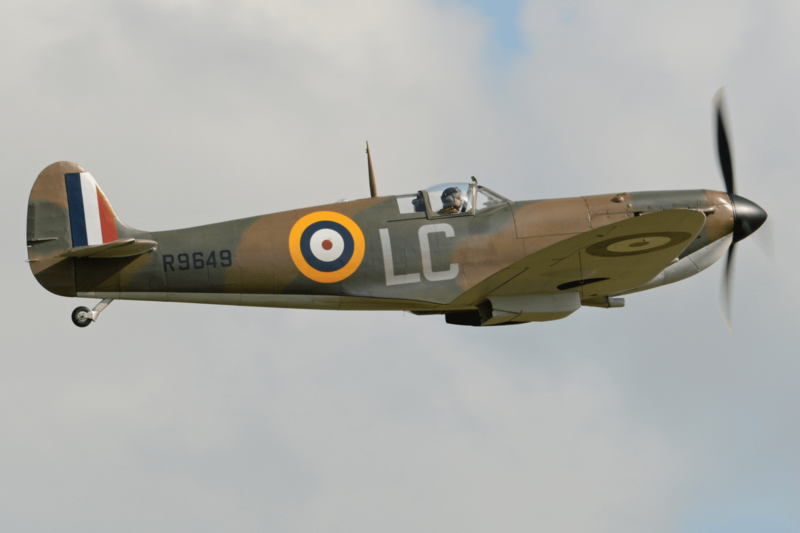 Bob Sallin has always loved the Spitfire, the British plane that won the Battle of Britain in World War II, and he’s always wanted to fly in one. After her last surgery the idea of flying low over the cliffs of Dover spoke to Sandy as well so, this fall, both of them will take their turn, flying in the backseat of this historic plane. This from a woman who wouldn’t ride on a roller coaster and was afraid of traveling and flying across the ocean. Sandy and Bob have been married and in love for 58 years! 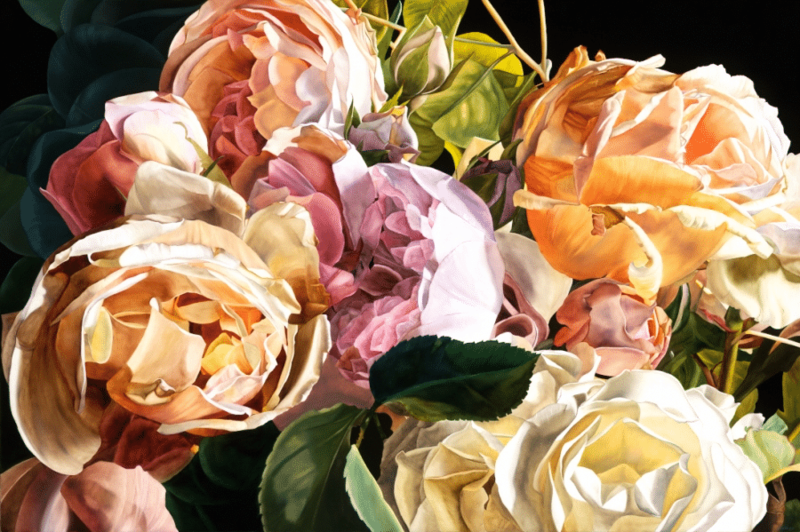 Ari Seth Cohen featured them in his third bestseller, Advanced Love. On my last blog, Inspiration From Women Over 70, I mentioned Cher can hold a plank position for over two minutes. Sandy left me a comment: “Before my last surgery I was doing three planks for 45 seconds each. I was just beginning. Now I need to start all over again.” Somehow I don’t think starting over will discourage her. 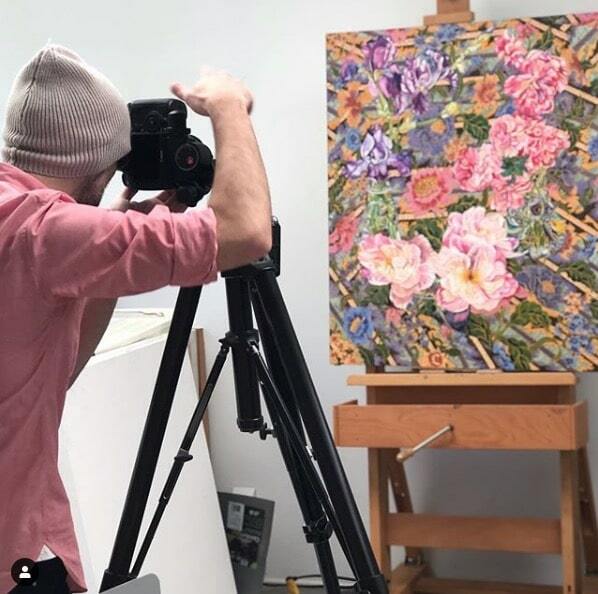 Sandy’s painting “Melasti” being photographed for the Museum of Contemporary Arts catalog for their show, “Pattern and Decoration,” starting in October, 2019. The show will subsequently travel the country. Don’t be discouraged, and don’t give up. Maybe we just need to change the way we do things, or like Sandra Sallin, the way we think about things. One of the biggest battles we’ll ever face is the battle with ourselves. We know what buttons to push to justify our behavior and if we fail, we convince ourselves it didn’t matter… but it does. This is the only shot at life we get, the only body we have. Make the most of what you’ve been given. Make life count. OH WOW..I have been following Sandra for two years and never knew any of this. Thanks for sharing. Loved seeing her in those ads too. Great profile of Sandra. She is a remarkable woman who is a survivor. I have always said, I have never met a one note woman, and Sandra is a perfect example. Kudos. A delight and an inspiration! Thanks for introducing us to Sandra, and for the encouragement that it’s never toolate to start something new. What a great post Brenda. I have followed Sandra’s blog and enjoyed her writing, but I had no idea she was such an inspiration. I loved seeing her old commercials and I am amazed at all the different arenas where Sandra shared her talents. But the most impressive one is the way she embraces each age with her engaging, adventurous spirit… a spirit that compels me to continue to reach for the stars in my own life. Wow, thank you. Boy, Brenda just got me. Can you believe I’m on the same pages as Diana Ross and Diane Keaton? Pretty exciting. I guess the saying is true, go out there and grab the gusto. That was me years ago thinking I’d like to start a blog to expand my life. Thanks Hilda. Thank you Sandra. You know you’ve changed my thoughts also. I started following you on your YouTube channel. I thought “goodness SandraHart is 80 and I love her YOuTube channel.” Maybe there’s a place for me too on YouTube. You’re my inspiration. One of these days you’ll see me on YouTube and it’s because of you. Trust me Pat it is never too late. At 78 I’m going to try having a YouTube channel and fly over the White Cliffs of Dover in a WWII fighter plane! If I can do it so can you. Thanks Beckye. Yes, I don’t consider my age asa limiter. I say go for it at any age. Sometimes I get held up by health issues. But the minute I’m OK, I’m ready to grab the life I can. I guess THAT is SOMETHING I NEVER KNEW ABOUT HER!!!! I love the COMMERCIALS and can remember a couple from my youth which MAKES HER EVEN MORE SPECIAL TO ME! I KNOW A MOVIE STAR from HOLLYWOOD! SHE is SO WITH IT and runs CIRCLES around me in the ENERGY DEPARTMENT!!!!!!! SHE IS UP ON EVERYTHING from NEWS TO ROYAL BIRTHS! She even knows a couple of ROYALS!!!!!!! BUT THE BEST QUALITY I HAVE FOUND IN HER is HER WARMTH AND FRIENDSHIP…………..THEY ARENOT HOLLYWOOD PEOPLE AS ONE WOULD THINK.SO FUN SO INTERESTING AND HER HUSBAND IS THE BEST!!!!!!!! I am so FORTUNATE TO KNOWN THEM!! IF YOU DO SOCIAL MEDIA I SAY FOLLOW HER!!!!!!!!!! NOW I MUST TIME MY PLANK!!!!!!! Brenda, you’ve just posted about one of my absolute favorite people. She won me over when I found her blog. And when I met her in person it was love the minute we saw each other’s lipstick color. Like Elizabeth, I didn’t know about the fear of travel and I had no idea about the plank! I’ll try my first one today and hope to get to five seconds. Love to you both and here’s to daring! I just love Sandra and have followed her blog for several years. She is an inspiration and she is always up to a challenge. I especially admire that she and her hubby have been married 58 years…amazing for “Hollywood” couples! DearestContessa, Thank you. I’m gobsmacked. We were so lucky to have found each other and create this loving friendship. You have been an inspiration to me. I now flaunt it. What ever it is. Thanks to you! You’re my Auntie Mame. How I love this post and the spirit of Sandra! Her smile says it all and jumps across the pages like a warm hug! Lucky are those to call her friend IRL! Lucky am I to be a loyal follower on IG! Looking forward to more inspiration from Sandra! Oh my gosh, this was so good! Sandra is an inspiration. This was such a delight. Loved all the photos and videos too! What a delightful and wonderful profile! What an interesting and inspiring woman Sandra is! I really enjoyed reading about all her adventures and the ones still to come. I hope I’m living life that well when I hit my 70’s – I think I need to get a move on if I want to get anywhere near her level of living life to the full! Thank you for this! I also knew her only from the blog world, where she shows up as a chic presence. I didn’t know about the commercials or the cooking show. She is a dynamo! And now a role model. The World’s Most Interesting Man has nothing on Sandy. Great profile on a great go-getter! Sandy’s painting stopped me in my tracks. I’m dying to know more. Is she self-taught? Does she work on more than one canvas at a time? Is she a water colorist only? (Hoping she’ll see my questions and elucidate!) Thanks Brenda! Off to follow her now on Instagram.